Selamat Datang! Welcome to BackpackingMalaysia.com! This is practical 8-step guide based on the "Global Code of Ethics" for Tourism of the World Tourism Organization. It promotes traveling with an open mind and respect for people, culture, animals and environment. This is our experience of travelling with a 8-month to 11-month old baby. With the 2018 Election Malaysia witnessed a change of government for the first time in its history since independence from the British in 1957. Vaisakhi religious festival in Sikhism and Hinduism and is celebrated by the Punjabi / Sikh minority in Malaysia. When traveling for work or leisure, we often remember to secure everything else but our data. 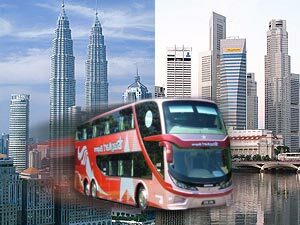 How to go from Kuala Lumpur up north to Thailand by bus or train. Southern Bus Terminal in KK serving local buses and south-bound long-distance buses to destinations like Beaufort, Sipitang and Lawas. Langkawi's airport is located in the west of the Island and has flight connections to Kuala Lumpur, Penang and Singapore.